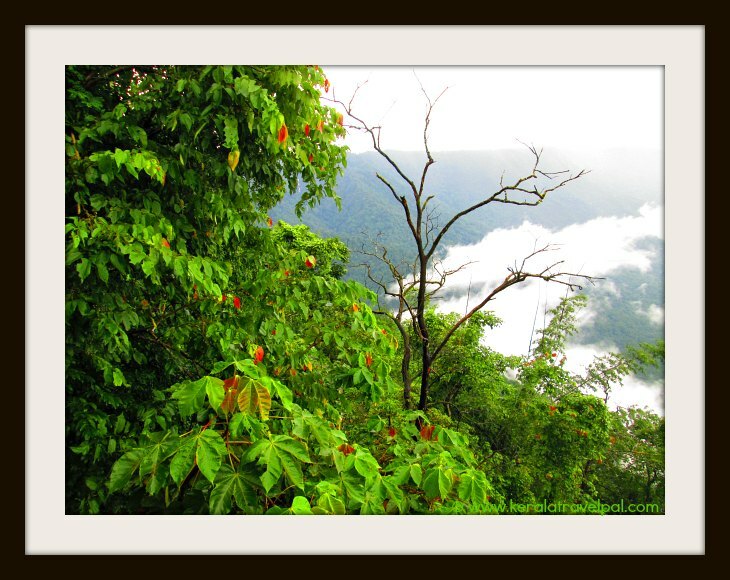 Sunrise Valley is one of the most scenic spots in Wayanad. That is a huge statement, considering how beautiful Wayanad is. Sunrise Point, above the valley, is only a stone’s throw away from the car park. Here is what you will see from there. 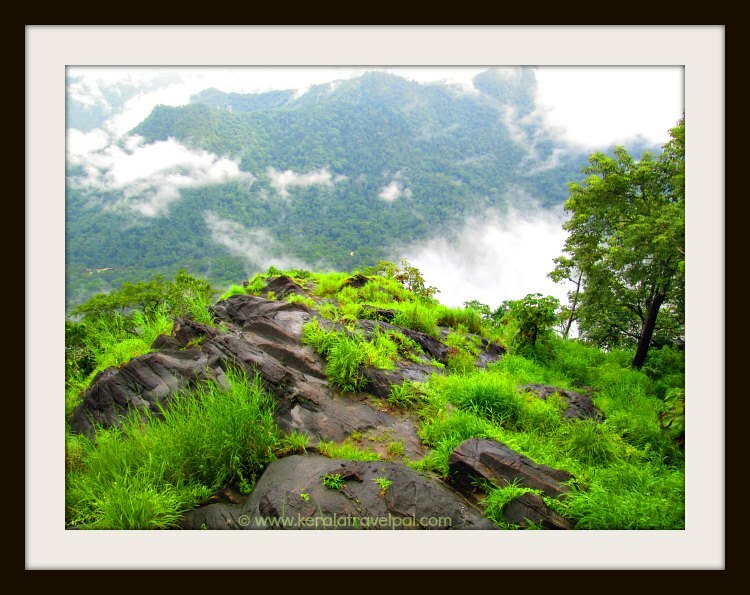 Definitely this should be one of the top sightseeing spots in Wayanad. Unfortunately, it is left in a state of neglect. Up on reaching the car park, you will be confused about where to go. There is a tea shop run by an old lady. And there are locals who are ready to help you as guides. They expect a small tip though. You have to walk about 100 metres through the woods to reach the fenced area. There are animals in the forest. The local guide told us that the metal wire fence is actually an electric fence to deter elephants. Power is switched on at night. To get the scenic view of the valley, it is necessary to go past the ‘no entry’ area to where the rocky projection is. You need permission from the authorities to do so. The mud tract that leads to the rocky projection is steep and slippery when wet. Slipping there can have disastrous consequence. That is why the area is closed for general visitors. I hope the tourism department wakes up to this place’s potential and build a proper walkway and steps. Be careful at the rocks. They can be slippery too. 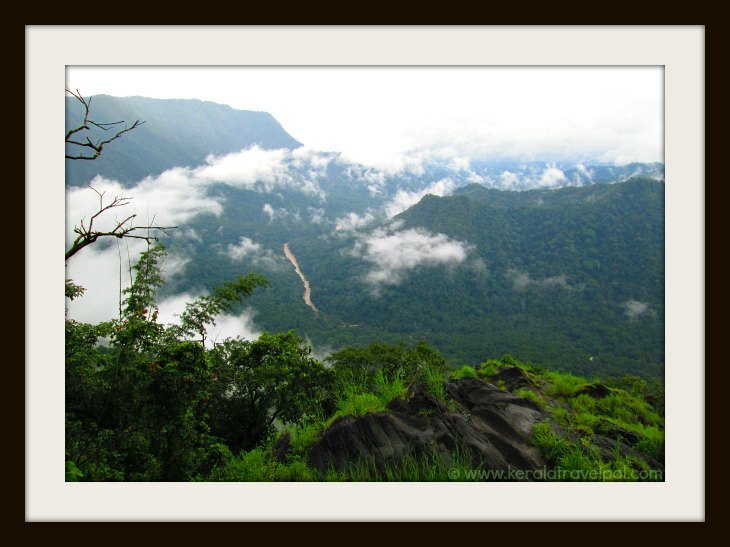 Undulating terrains of evergreen forests covered in mist and overlooked by white clouds is a refreshing sight. One of the highlights is River Chaliyar seen as a thick silvery line curving around the hill. Also in the picture is Attamala waterfall as a small silvery patch. Those who are in the know arrive here early morning to view the red rays of sun majestically shatter the darkness of the valley. Hence the name – Sunrise Valley. There is a spot not far from the car park, where you can see Meenmutty waterfall at a distance. Meenmutty is one of the largest waterfalls in Kerala. Sunrise Valley View point is in Muppainad village, about 7 kms from Vaduvanchal. Follow Meppadi to Vaduvanchal road till Padivayal and then turn to the side road. There are two side roads which unite after a couple of kms. There is road side display sign for Sunrise Valley. Follow the road to the end (about 4 kms). Nearest town: Meppadi at 16 kms, Sulthan Bathery at 28 kms, Kalpetta at 26 kms and Vaduvanchal at 6 kms. Bus Station: Meppadi at 16 kms. Taxi/ Auto-rickshaw Hire: Meppadi at 16 kms. Railway Station: No rail access to Wayanad District. Nearest Railway Station is Kozhikode at 91 kms. Air port: Kozhikode Int’l Airport (CCJ) at 112 kms. Food Options: A few restaurants at Meppadi. Better choice at Bathery and Kalpetta. Accommodation Options: Limited choice at Meppadi. Hotels at Kalpetta and Bathery. There are a few resorts near the View Point in great locations. Best time to visit: Anytime except during heavy rains. Nearby Attractions : Chembra peak, Edakkal Caves, RARS, Soochippara waterfall, Kanthanpara waterfall, Kalpetta town (shopping & food), Banasura Sagar Dam, Jain Temple, Muthanga Sanctuary, Tholpetty Sanctuary, Pakshipathalam, Pookote Lake, Phantom Rock, Pazhassi Monument, Chethalayam waterfall, Karalad Lake, Karappuzha Dam, Meenmutty falls and Thirunelli Temple.